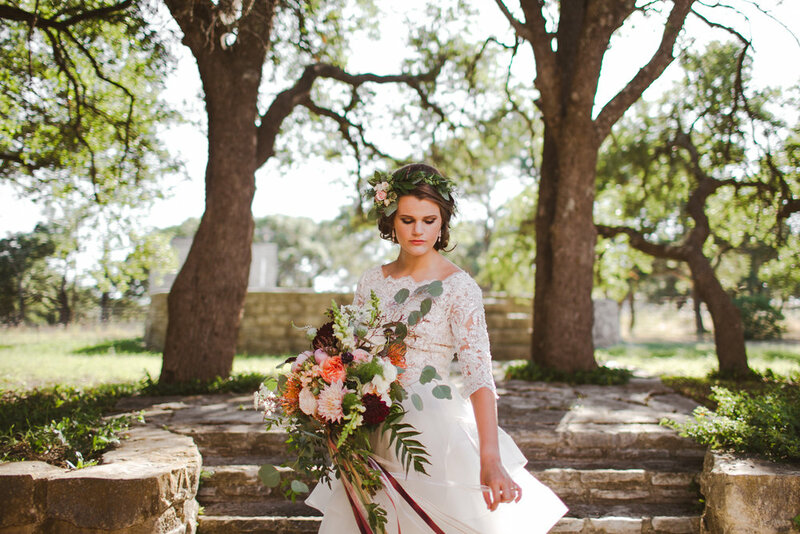 For this shoot, we were inspired by the beautiful blank canvas which we were provided, hill country venue, Hadora Ranch. 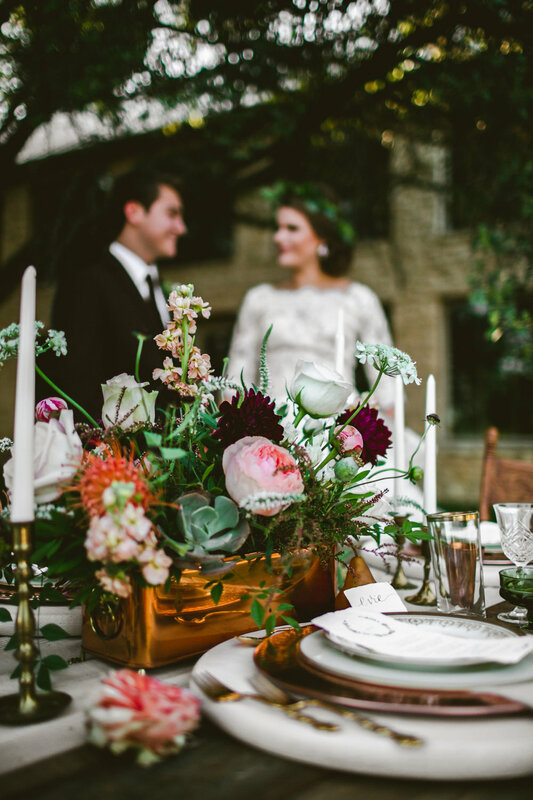 With its rich, white stone exterior and vintage interior, we went for a moody, botanical, autumn vibe. 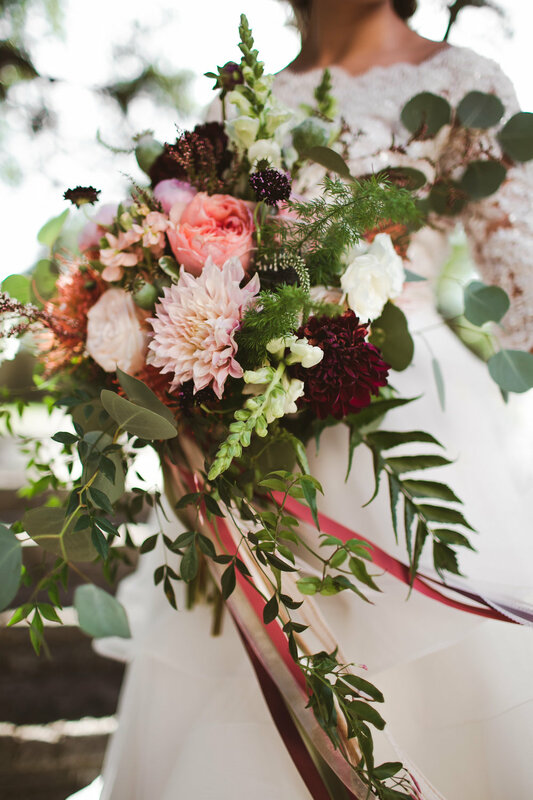 We incorporated deep burgundy, creams, pinks, tons of greenery, and hints of copper. 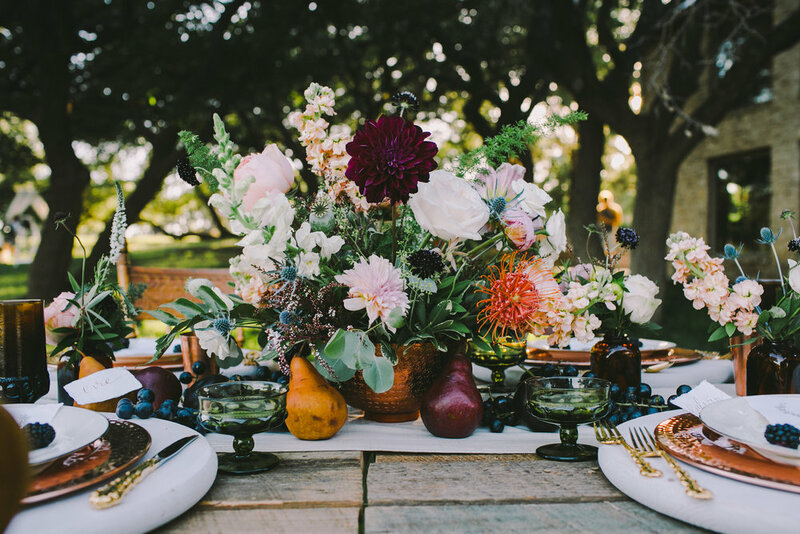 Adrienne, the florist, and I worked hand-in-hand on the table styling. 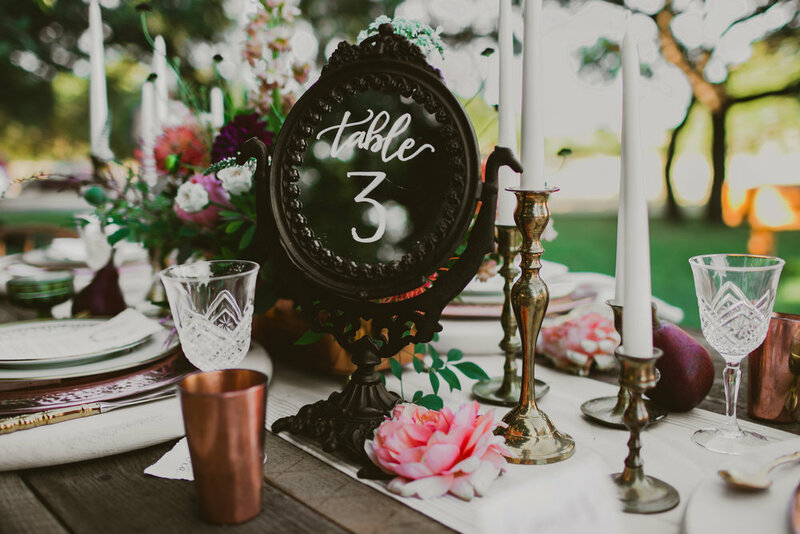 We created two different table settings- we wanted the table styling to exhibit a stark contrast between the romantic metallics and the organics (florals and fruit). 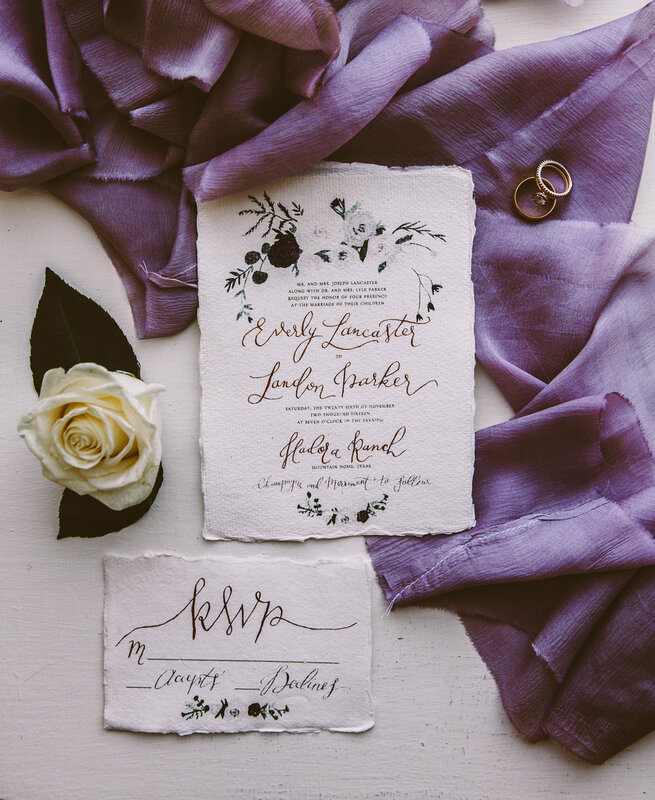 Of course, in addition to the styling, I created all of the paper/text items for the shoot. The invitation suite, menus, and place cards were printed on 100% cotton textured paper with beautiful deckled edges. 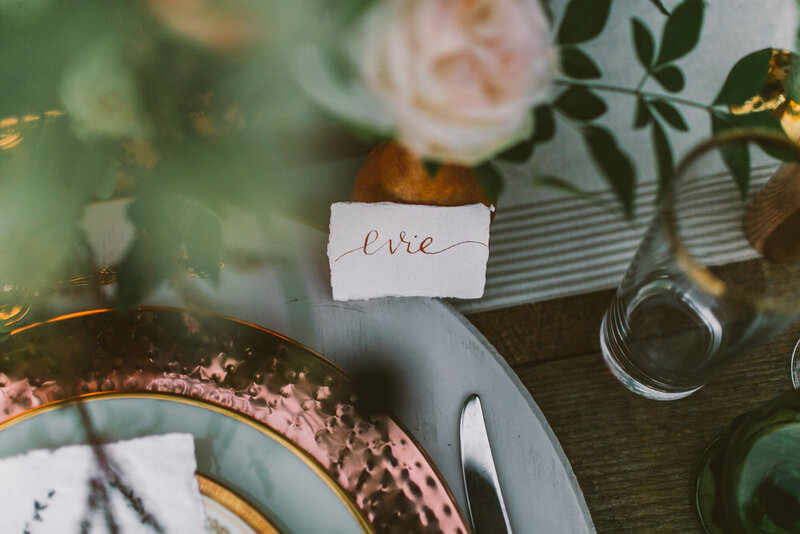 Copper touches were brought in through the copper invitation envelope, and the calligraphy on the invitations and place cards. 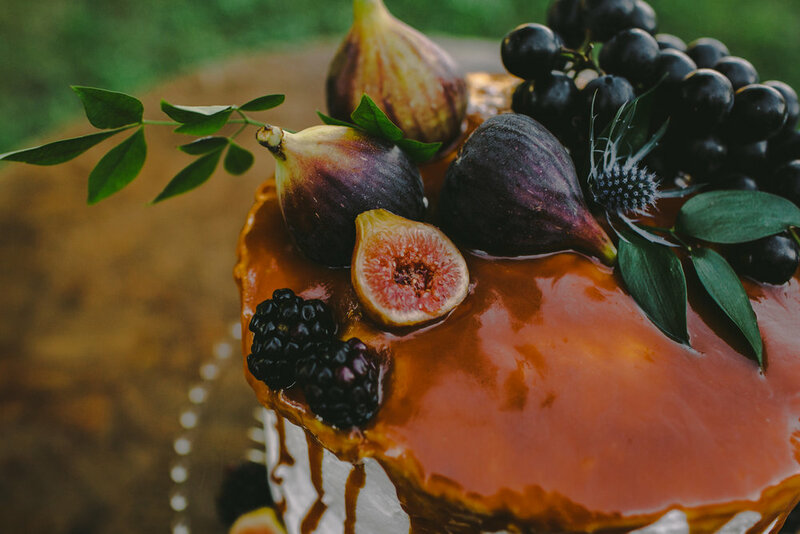 The cake additionally brought in these deep hues with the drizzled caramel, dark grapes, blackberries, and figs. Of course, there had to be figs. 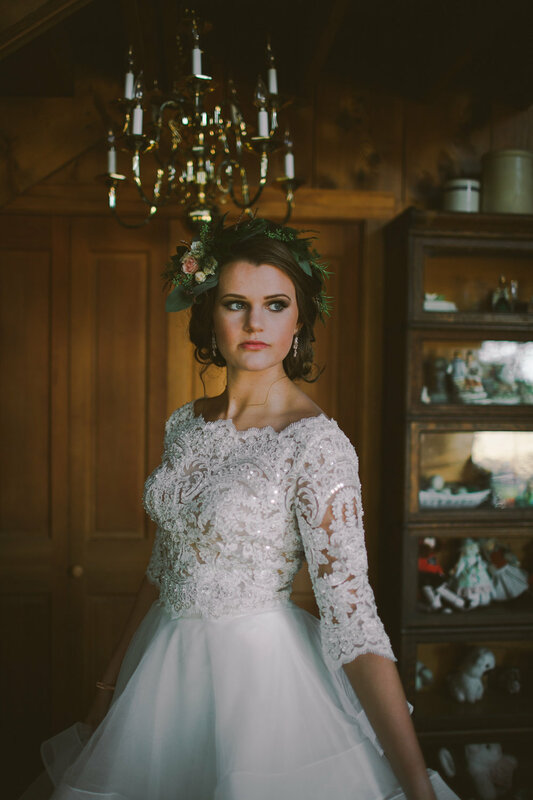 Adrienne's florals were dramatic and whimsical, and they incorporated unique flowers. She created centerpieces, the bouquet, boutonnière, flower crown, gorgeous arbor, and a floral swag. Our makeup/hair team were phenomenal, and they truly captured the vibe we had envisioned in the styling of our models. Though the afternoon was over in the blink of an eye, and with the experience came many last-minute decisions and mishaps, we all agreed our team was the best ever and we created something that we're so proud of.